is truly brilliant. But so are all the Built Burger varieties. Photo © Built Burger. 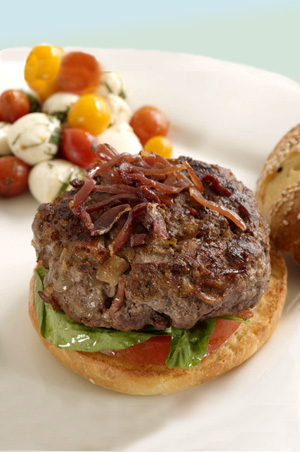 WHAT IT IS: Part I of our Top 10 specialty and gourmet food picks of 2010, selected from our Top Picks Of The Week. Products 6 through 10 will arrive in Part II, next week. WHY IT’S DIFFERENT: While we love all of our Top Picks, these are the ones that we can’t get enough of. WHY WE LOVE IT: They make it easy to add variety to our daily diet—most without adding many calories, too! RECIPES ~ CRANBERRY COCKTAILS: Serve guests a Cranberry Martini, Cranberry Mojito or Frozen Cranberry Margarita. COOKING VIDEO OF THE WEEK: Make an easy Chocolate Pecan Pie. See all of the 2010 Top Picks Of The Week. CAPSULE REPORT: Today and next week, we’re focusing on “The Best Of 2010”: truly the “best of the best” of everything we tasted this year. If you don’t try them, you’ll be missing out. This week we share, in alphabetical order, our favorite savory foods. Next week we’ll present the sweet foods. Just click on the bulleted links below to read the original reviews and why these foods have become our favorite gourmet gifts and treats. January is “Healthy Food Month” at THE NIBBLE. Our Top Picks will include good-for-you foods and recipes—until Valentine’s Day kicks in. Judy’s Breadsticks. Retailers of America: Why aren’t you carrying this terrific line of whole grain and vegan bread sticks? 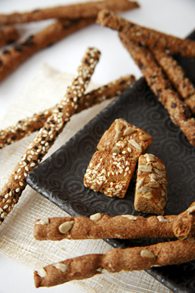 Crunchy and superb, the Coffee Bean Twigs are a must. Learn more. 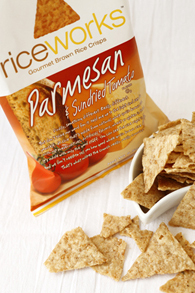 Rice works Rice Crisps. A guilt-free yet full-flavored crunchy snack we adore. Enjoy a better-for-you chip in six different flavors. Certified kosher. Full review. 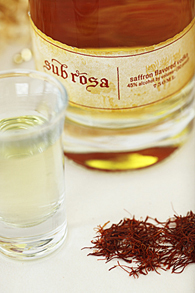 Sub Rosa Vodka. It would have made the Top 5 list but we felt we needed to include a “good for you” food. This is a truly amazing vodka experience. Don’t miss it. Full review.